Anglers are still catching bass using senkos, and jigs. The bass are being caught in the rocks, and off shore between 10-40 feet. The striper bite has been slow. Trolling with flies and throwing swimbaits are recommended for striper. The catfish bit slowed down this week. Nightcrawlers, anchovies and Mackerel work best for catfish. The best spot to fish for catfish are near the dams and coves. Anglers are catching limits on panfish! Mealworms and jigs are working best. 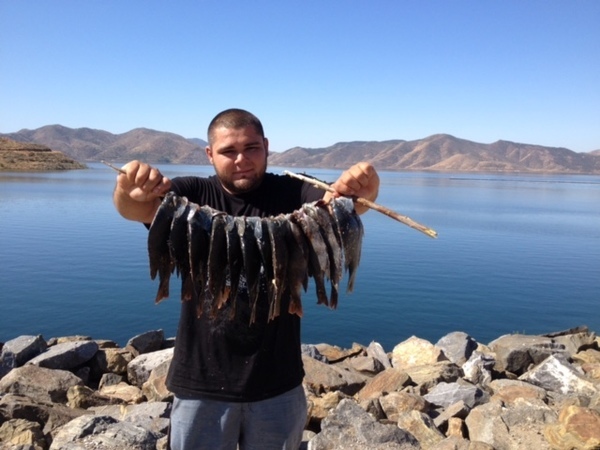 The best spot to fish for them is near the ladders on the dams and off shore. There were reports of panfish being caught in the second cove to the right of the marina. Trout season is over. Miini jigs, powerbait, and nightcrawlers are recommended for trout fishing during the winter. The best area to fish for them is near the marina where we stock.